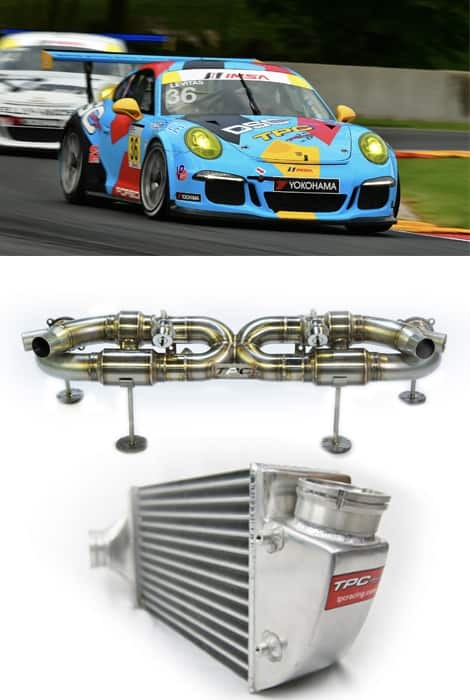 TPCRacing has its roots in the IMSA Supercar Series of the late 1980’s and early 1990s, where team owner and driver Mike Levitas managed the turbocharger programs that gave the fire-breathing Nissan 300zx, Mazda RX7 Twin Turbo and Lotus Esprit Turbo their prodigious power. After climbing the Porsche Club Racing ranks starting in 1992, Levitas and TPCRacing ascended to Motorola Cup action in 1999, driving a mix of Mercedes sedans and Porsches. In 2000, TPCRacing began entering races under its own banner, and since has scaled the heights of the Grand American Rolex Sports Car Series, winning more than 20 times in class and claiming an unprecedented 1-2-3-4 sweep of a major driver’s championship. In fact, TPCRacing was so dominant that over the course of the entire season, the championship-winning #36 car never finished a race off the podium. In January 2006, TPCRacing reached the summit of international sports car racing – the team clinched a class win at the famed Rolex 24 At Daytona, even after suffering a major mechanical problem just hours into the race, when the onboard hydraulic airjack system failed. Typical of Levitas’ blue-collar crew and drivers, the team focused on minimizing mistakes on the track, and turned a 10-second disadvantage in each pit stop – to manually jack up one side of the car, then the other – into an opportunity. Leading the race for the last nine hours, TPCRacing stayed in front of the mighty GM-factory supported GTO.Rs, winning by two clear laps. 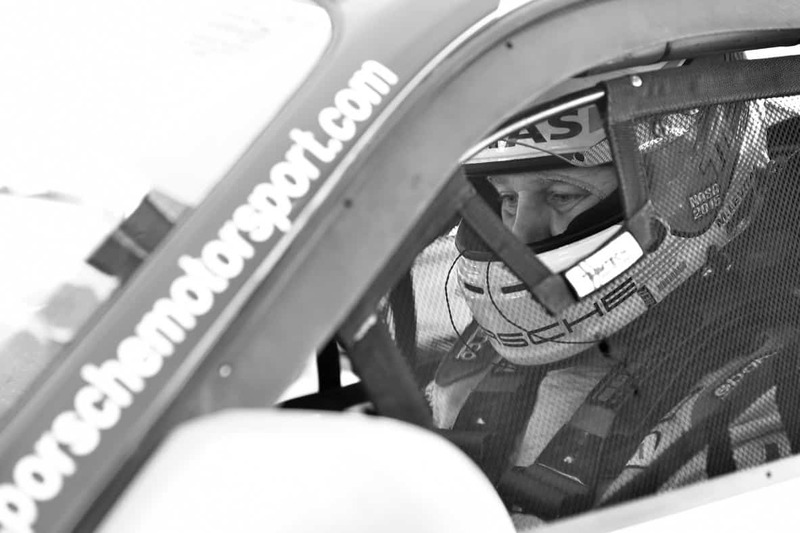 Esteemed driver and engineer of TPC Racing, Michael Levitas, founded DSC Sport in 2011 with a vision to advance suspension technology into the digital era. For Levitas, who has an unwavering passion for sports cars and motorsport, track performance and street comfort are not mutually exclusive. For this reason, Levitas set out to engineer a suspension that not only provided optimum track performance, but would do so without sacrificing street comfort. With championship titles spanning from the 2006 24 Hours of Daytona to the 2013 IMSA GT3 Cup Challenge, Levitas and his team of engineers, technicians, and professional drivers have helped set the bar for suspension engineering across various professional race series over the past decade. Using the race data and knowledge gathered from years of success racing Porsche cup cars, Levitas created an algorithm to control the damping level of each individual shock in virtually real time. Since 2001, Michael has won 12 races in the Rolex Series, finished 2nd eight times, finished 3rd 10 times and racked up an additional 25 top-ten finishes. TPC was crowned Grand American SGS-class champions in 2004, a year in which Levitas’ three car team positively dominated the competition. At the 2006 Rolex 24 At Daytona, TPC broke through to its greatest achievement to date – winning the GT class of the famed 24-hour endurance race. Levitas personally transcended the duties of a typical team owner/driver, not only putting in impressive time behind the wheel but also acting as the team’s jack man, jacking each side of the car into the air during pit stops because of an onboard hydraulics failure. Currently Michael is campaigning Porsche GT3 Cup Cars in the quickly growing Porsche IMSA GT3 Cup Challenge Racing Series. Based around the legendary Porsche GT3 Cup Car, Michael has already seen multiple podium and 1st place finishes, and with a growing team, there’s no telling what TPC Racing’s future may offer!